Clarens Mansion sleeps 10 (Plus 3 x Sleeper Couches so 16 is possible, whilst not recommend (Bring your own bedding for sleeper couches). 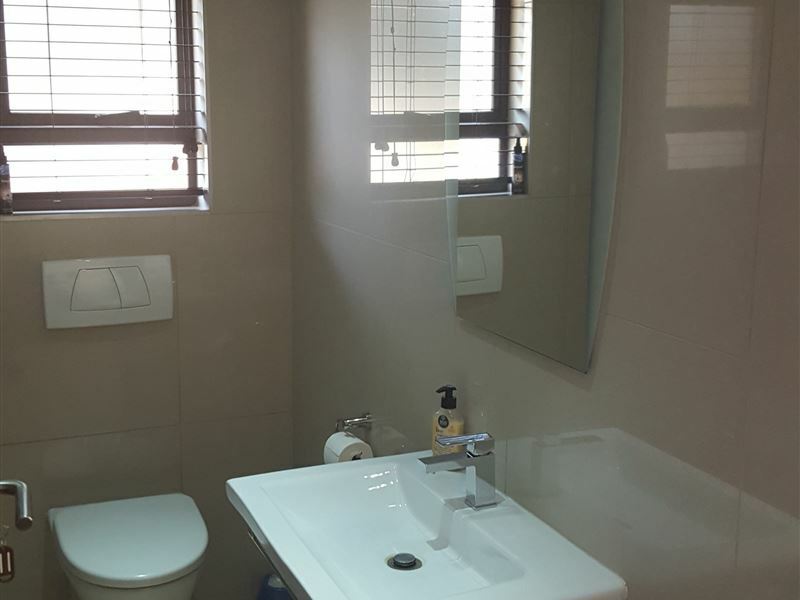 It is the most stunning property in Clarens, situated front and centre in the Clarens Golf and Leisure Estate making whomever stays there the envy of all of Clarens. This property has a 9m sliding door that opens fully and tucks away that you have an unobstructed view from anywhere in the house straight onto the golf course.Its really something special. 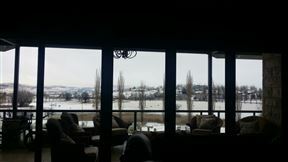 This view continues from anywhere in house, all bedrooms and even the kitchen. 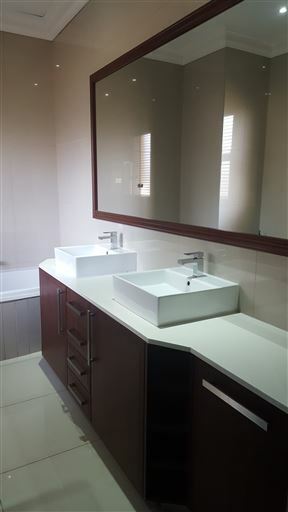 There are 3 bedrooms, all with the most beautifully appointed en suite bathrooms, as well as a fourth loo for guests.This property is 360sqm (the standard Golf Estate self catering property is 140sqm) has a stunning full kitchen, with fully integrated top spec appliances, dishwasher, microwave and fridge freezer, washing machine, with plenty of cupboards and fully kitted out for your convenience. 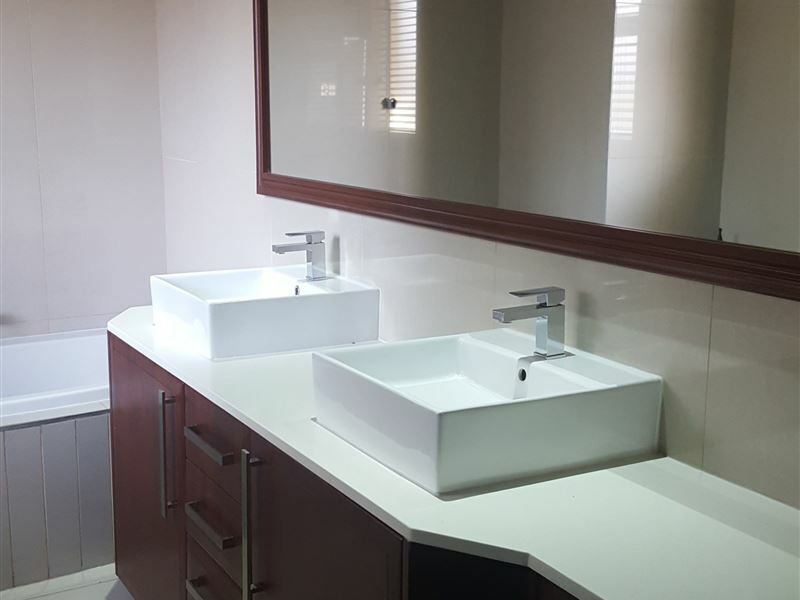 There is a gas hob and electric stove also built in.The lounge, dining area, bar and breakfast bar are all open plan and to die for with ceaserstone and glass everywhere. The master bedroom contains a king-size bed purchased directly from 5 star Hotel supplier, and a DBL bed. This bedroom has glass sliding doors on both walls, that lead to the massive stoop area, and overlooks the most incredible view of the golf course and lake, with blackout curtains and blinds for a deep sleep. The second bedroom has a king bed, and also glass sliding doors that take you straight out onto the golf course and massive stoop area. The third bedroom has two Dbl beds and is very large with large window that transports you straight into the wilderness with forest like views with most scenic mountain backdrop. 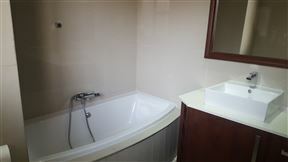 The property has DSTV (Commercial Package) with large screen TV 48 inch. The stoop and braai area is what takes this house over the edge with two bedrooms having sliding doors directly on to this massive stoop area with a jet master built in braai supersize. 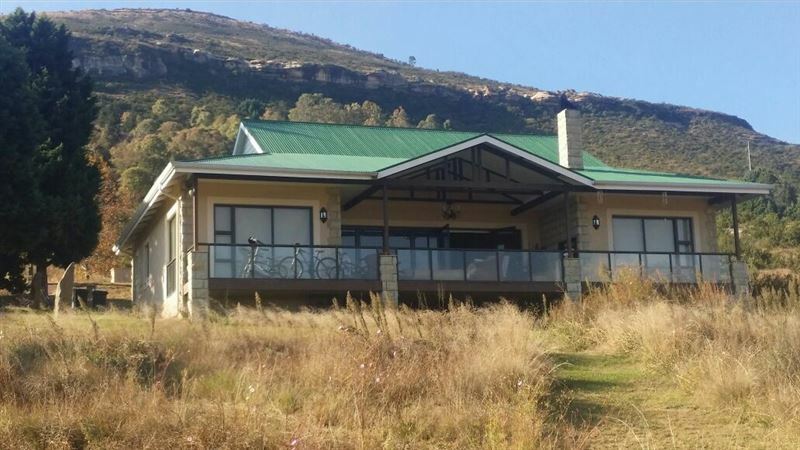 The position of this property is such that you have the best views on the estate, overlooking the golf course, the lake, Clarens and unobstructed views of mountains on all sides. There are no properties next to this one, so you will experience great privacy. There is parking for 4 cars on large driveway whilst dbl garage remains locked, with more parking on grass if required. 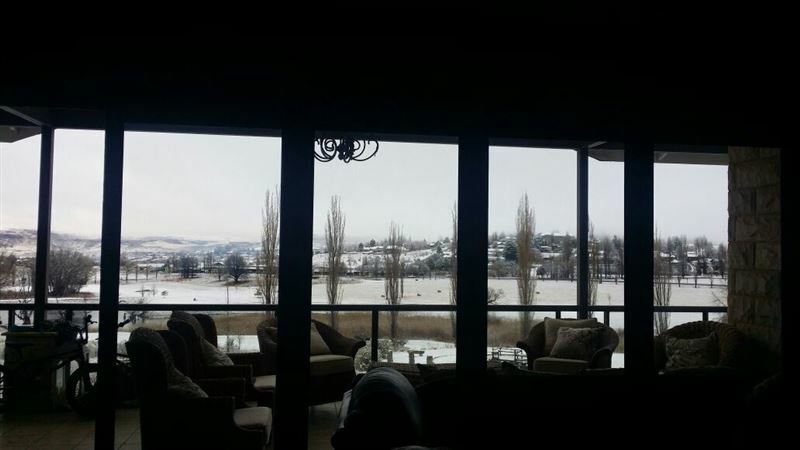 There is no better property to spend your time in for your stay in Clarens. 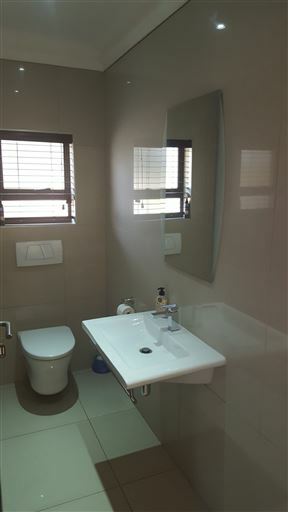 Your experience of Clarens will most certainly be greatly enhanced should you choose to stay at this upmarket property. 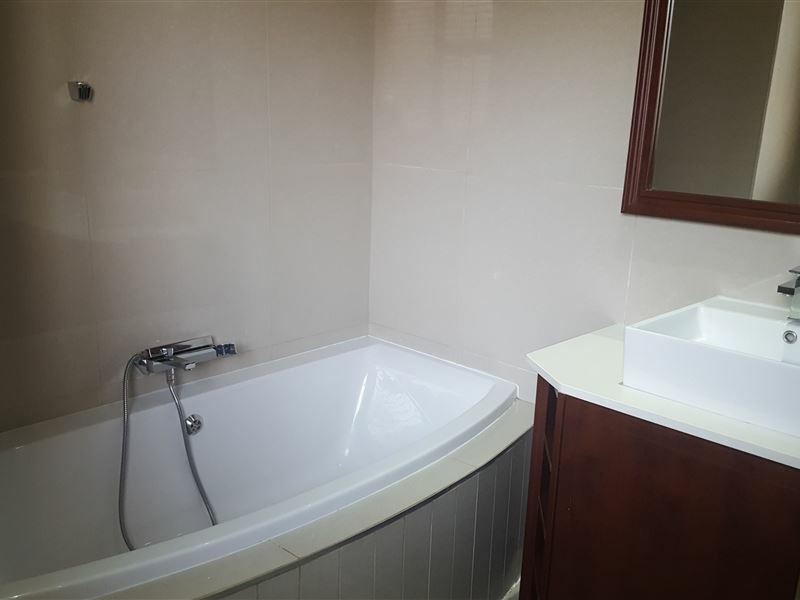 Take your Clarens stay to the next level and do it properly and you will be very glad that you did in this one of a kind property. Furniture may vary from pics. PLS NOTE THAT WHILST NO CLEANING SERVICE IS INCLUDED, A SERVICE IS AVAILABLE ON REQUEST by prior arrangement. Pls note that the built in gas fireplace is only in use during winter months. 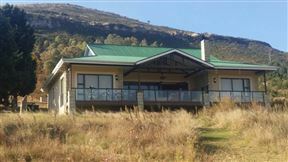 Stunning golf estate property.This is listed as Number 1 property of 336 in Clarens.Stunning 5.2million rand property.